Alcoholism is another social menace characterized by the dependency of a person to alcoholic beverages. It is harmful because it affects the alcoholic's emotional, physical and mental health, thereby disrupting his or her social life, relations with family members and quality of work life. Usually, an individual turn to alcohol due to social habit, to relieve mental and physical stress and to forget problems. Regardless of its root causes, chronic consumption of alcoholic drinks can result in alcohol addiction. Addiction, and alcohol addiction, in particular has many causes, which experts have traced to five interrelated concepts, which include: patterns, habits, compulsions, impulse control disorders, and physical addiction. The controversy as to whether or not addictions are diseases continues to be debated, but the most common model of substance abuse is and continues to be the disease model first introduced by EM Jellinek is the late 1940s, and later adopted by the American Medical Association. When not resolved immediately, it leads to emotional dependence, problematic career, illnesses and social stigmatization. When can you consider alcoholism in danger stage? When does alcoholics need alcohol rehab programs? Alcohol addiction adversely affects the entire system of alcoholics and the first effects are manifested on their skin, nervous system, gastrointestinal system, heart, and liver. Uncontrollable and excessive ingestion of alcoholic drinks gradually damages the liver and eventually leads to cirrhosis if not remedied immediately. If your friend, family member or loved one displays is fond of drinking alcohol beverages then be wary of the signs of alcohol dependency. How can we know that a person is already dependent on alcohol? What are the danger signs of alcohol addiction? 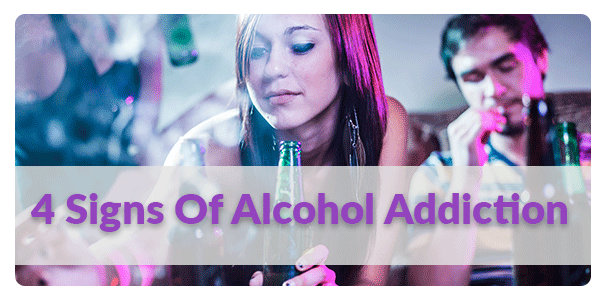 To know more about the side effects of alcohol addiction, you can surf the Internet or ask your doctor about it. You can also call alcoholism help lines to know the truth about alcohol rehab programs. Drinking alcohol drinks is socially acceptable, but one should know his or her limitations and when to stop drinking. Drinking not more than one or two glasses of alcoholic beverages is acceptable, but when the frequency and amount increased, there is the greater probability that he or she is already alcohol dependent. Listed below are danger signs of alcohol dependency. The first sign of alcohol addiction is the tolerance of a person to alcoholic drinks. When his or her body becomes accustomed to drinking alcohol drinks, then he or she needs to take in more liquor to get the similar results. Because of his or her uncontrollable craving to drink alcoholic drinks, he or she usually experiences problems associated with health, relationships, and finances. He or she is often involved in dangerous and risky activities due to his or her poor judgments while intoxicated such as drunk driving, operating machines while drunk and consuming prescribed medication along with alcohol. Since he or she cannot control his or her urge to drink alcoholic beverages, he or she often hides alcoholic beverages in strange places. He or She also experiences withdrawal symptoms like headaches, sweating, tremors, vomiting and anxiety. When you observe one or mixture of these symptoms, it is best to seek medical assistance immediately. Bring your friend or loved one to the nearest clinic or hospital for diagnosis and treatment.